For a couple of days, all was really well. “Not much to this task of taking care of things around the home front,” I comforted myself. Just to be sure, while my wife was traveling, I was given an exhaustive checklist of necessary tasks that should, by no means, be neglected. The fridge was an excellent place for this list. As I turned to walk from the refrigerator, unaware, the weak magnet let go, and the list fluttered to the ground, not resting until it lodged itself out of view under the bottom of the stove. As I said, for a couple of days, all was really well. By day four though, evidences of the forgotten list began to reveal themselves. On the day before my wife’s return, I noticed something strange about the plants on the back porch. Once green and full of blooms, they now rested over the edges of their pots, and were a beautiful brownish color with their flowers comfortably positioned on the floor below. With no water, my wife’s plants were dead… and I was in trouble. To continue reading this post, please follow this link to Christian Blessings. This entry was posted in Christian Blessings and tagged artificial flower, Christianity, desire of God, desiring God, faith, flower, God's love, love God, religion. Bookmark the permalink. Thank you very much, and your site is a blessing! 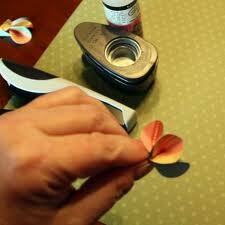 This is exactly what leads to legalism…”stapling flowers” to our spirituality. Great post, sir! !